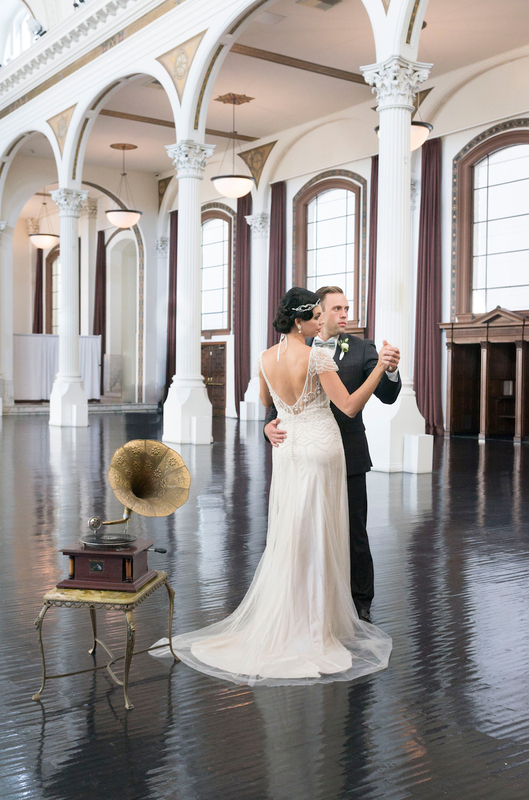 Just in time for Halloween, we’ve rounded up some favorite wedding photos that are a little moody and a lot of art deco. Thinking about a Halloween Wedding? 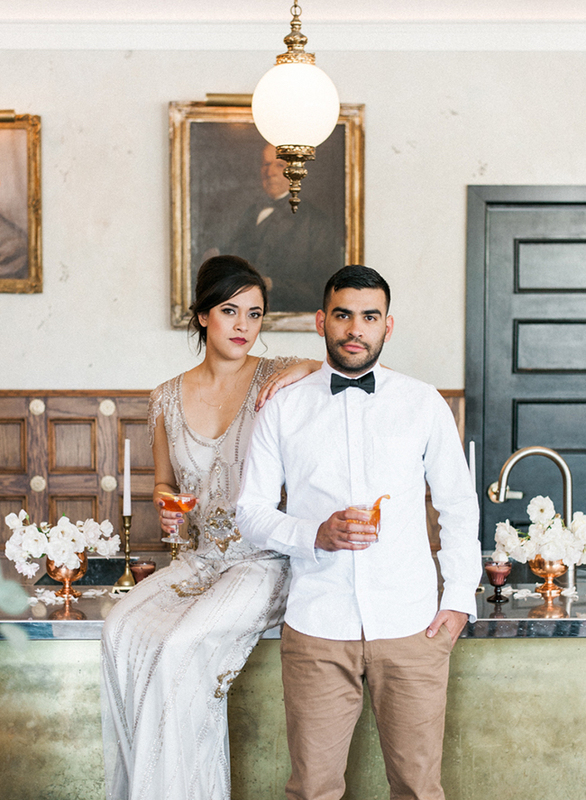 This moody art deco wedding inspiration is perfect to set your vibe. Glitz and glam never go out of style and 1920’s vintage is totally timeless. Adding some darker mood lighting and color palettes to the décor can make for a haunting yet beautiful soiree. 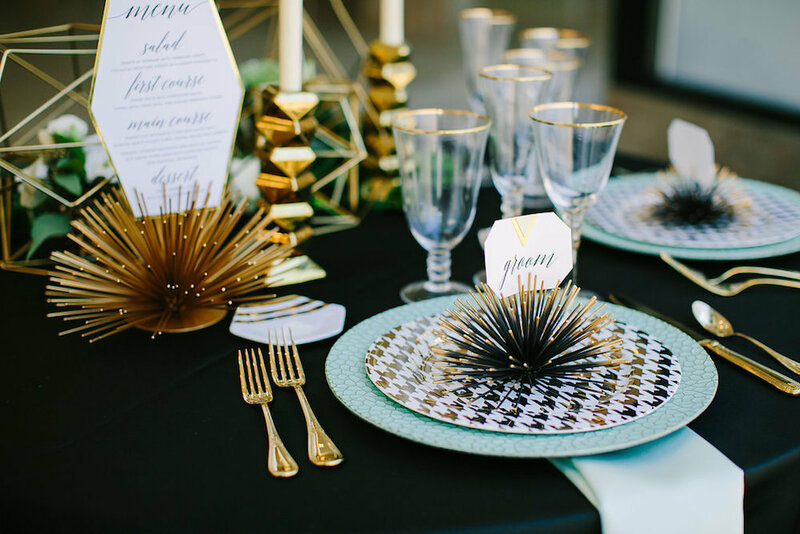 From champagne towers to feathered centerpieces and Gatsby vibes galore you won’t want to miss all of these photos! 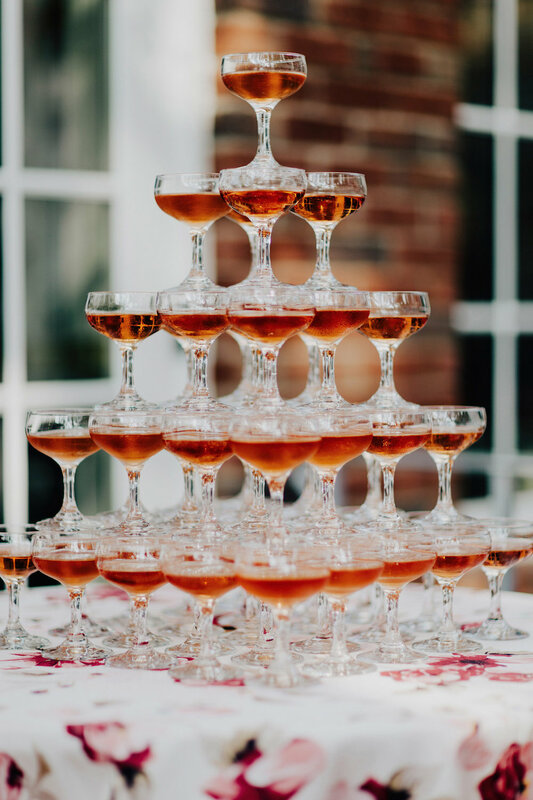 Champagne towers (and showers! )…yes please! 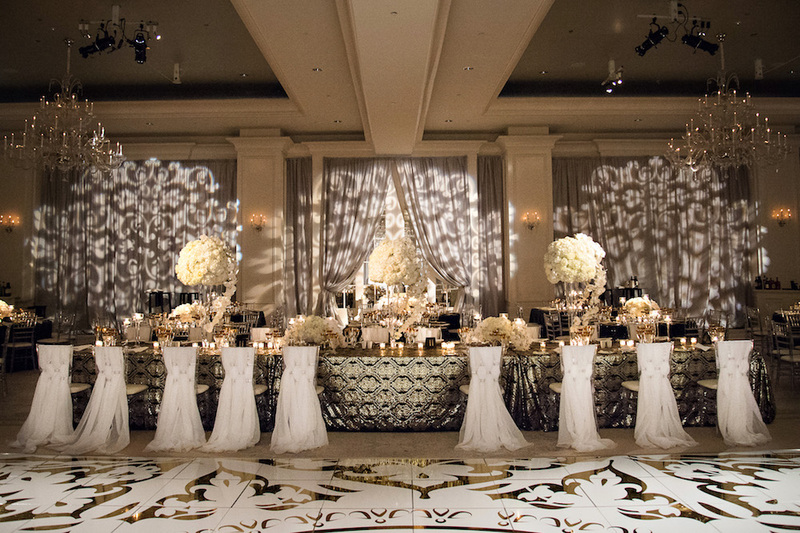 We don’t know where to look first in this stunning reception space! 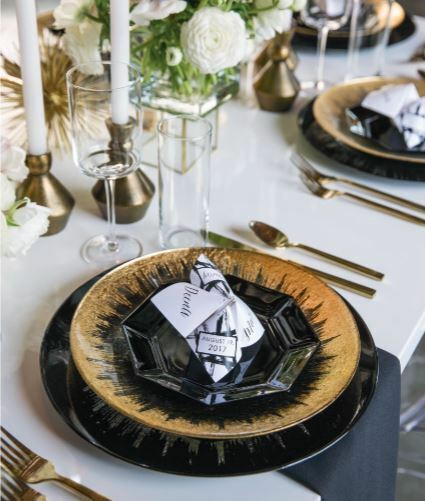 Black and white feathered centerpieces are the perfect match with these dark linens. 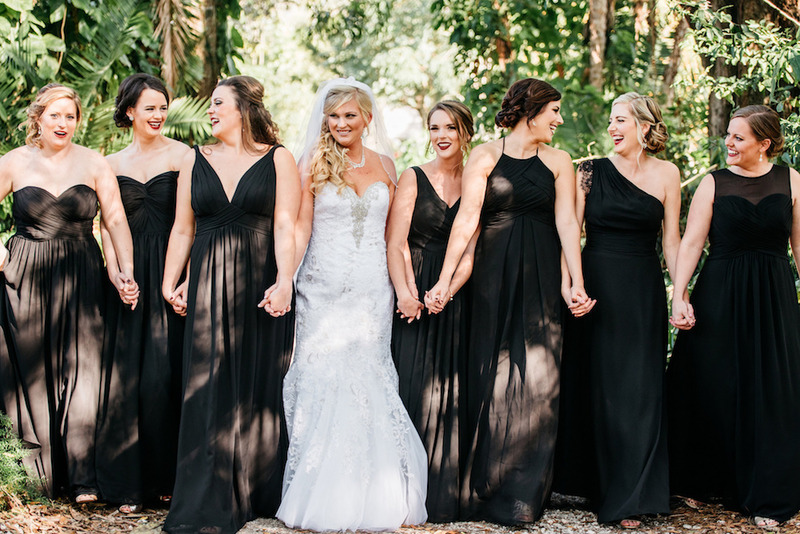 LOVING the all black bridesmaid dresses look. 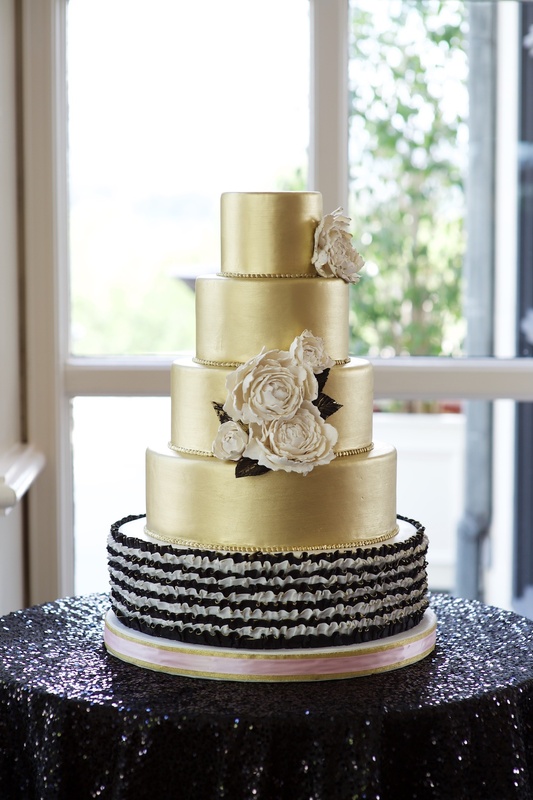 Gold metallic cakes are a unique touch. 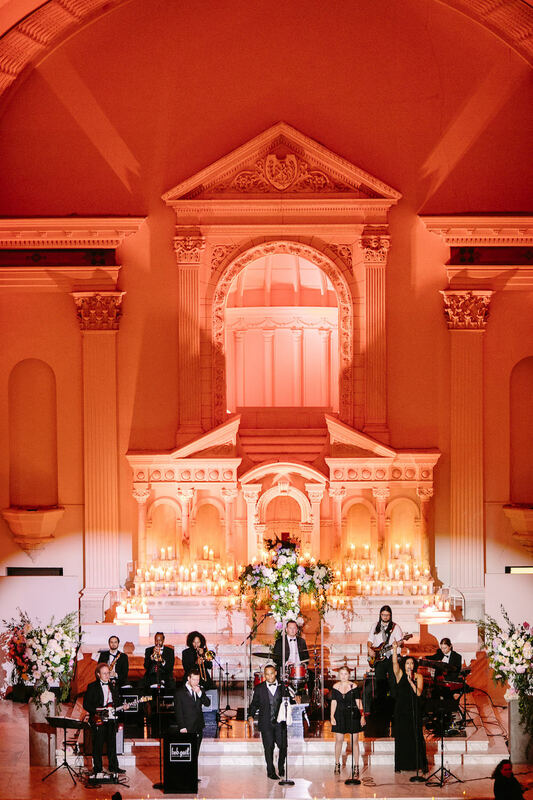 Talk about mood lighting for this wedding band! And check out those candles in the back! Give us all of the gold and black. 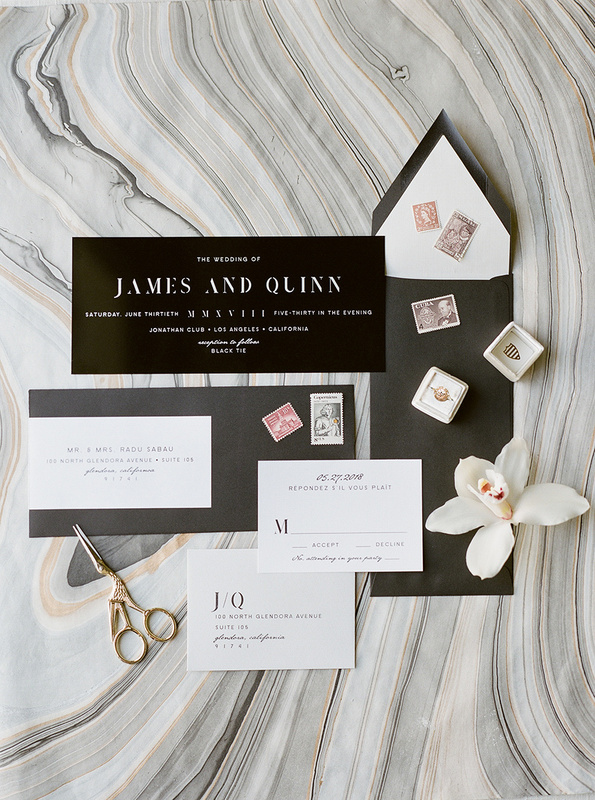 Moody neautral and rich color palettes are perfection. 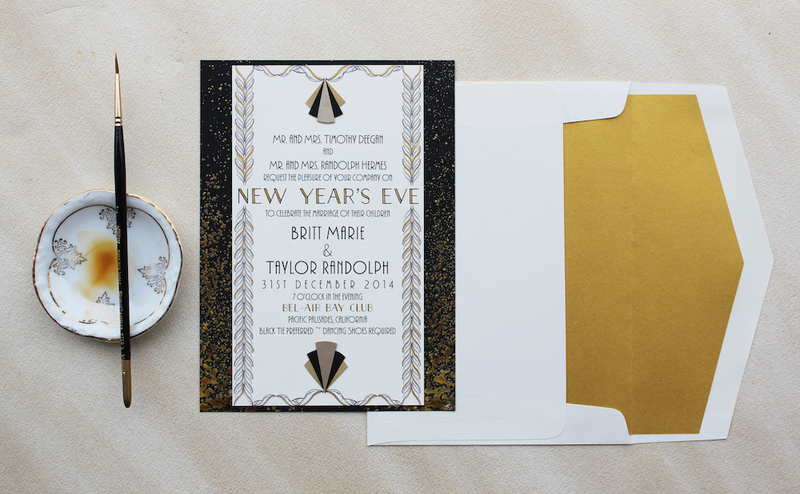 How elegant does all of this glitzy gold and art deco touches look?! 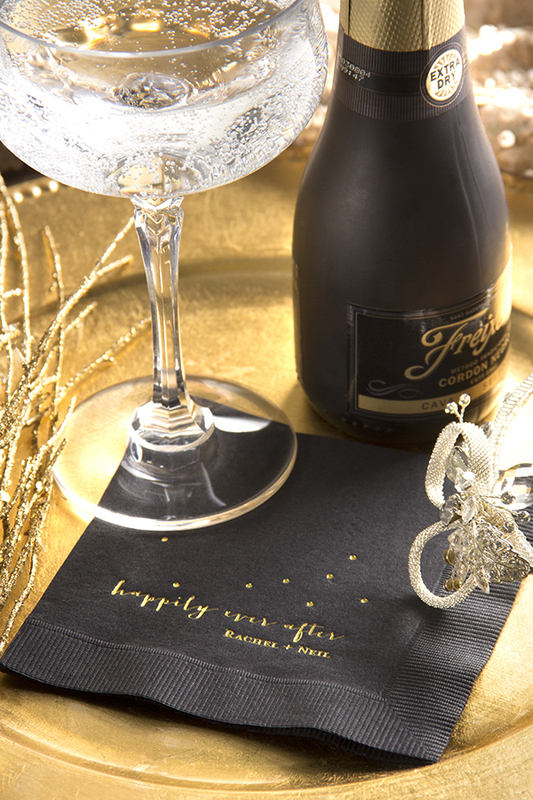 Here’s a happily ever after we will cheers to. 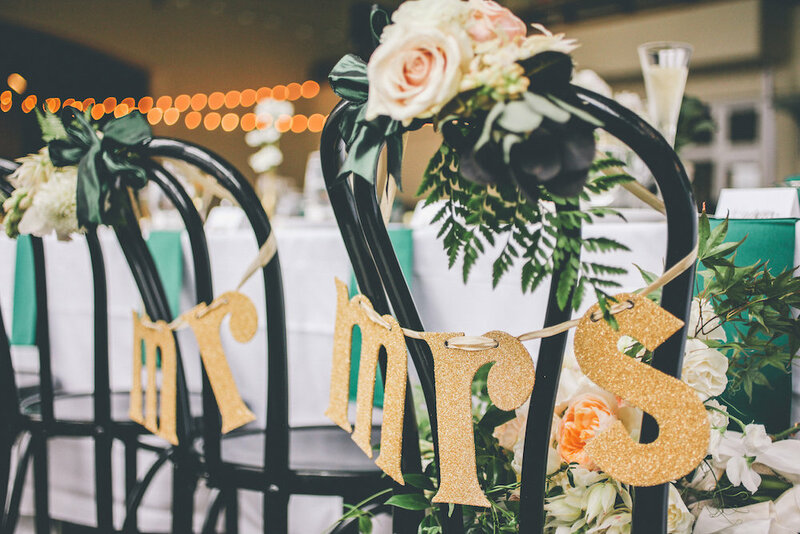 Gold personalized signage on the bride and groom’s rad black chairs. 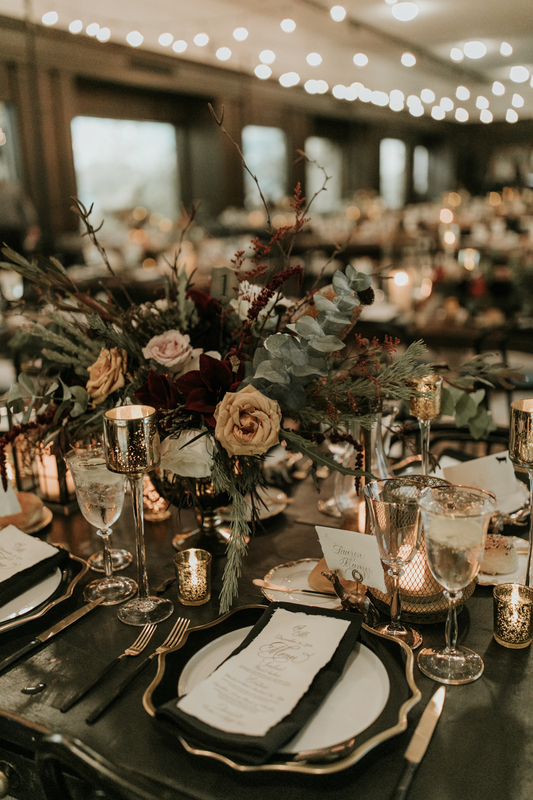 Event Design by Going Lovely Events, Photography by Edyta Szyszlo Photography, Floral Design by Twigss Floral Studio, Paper goods by Hen & Co., Rentals by Classic Party Rentals, Signage from BHLDN. 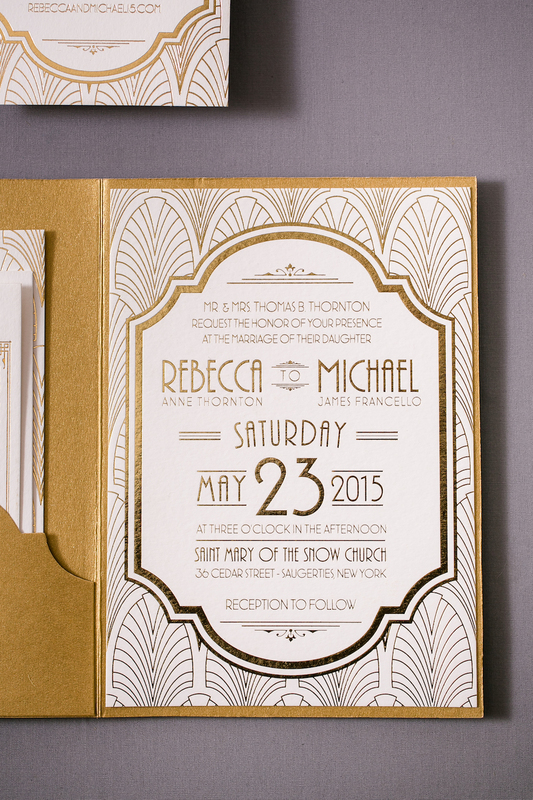 If this invitation suite doesnt say art deco, then we don’t know what does. Inspired by the utterly intoxicating era of the Roaring Twenties. 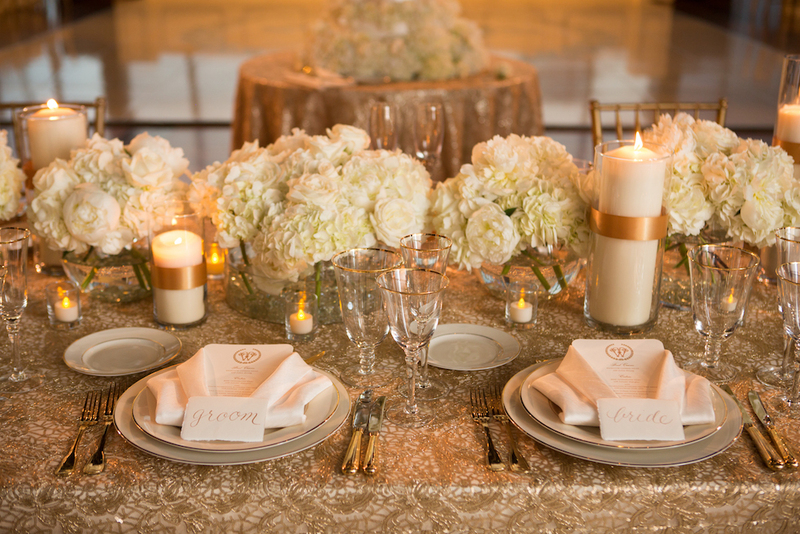 Loving the gold accents and flatware from this table setting. 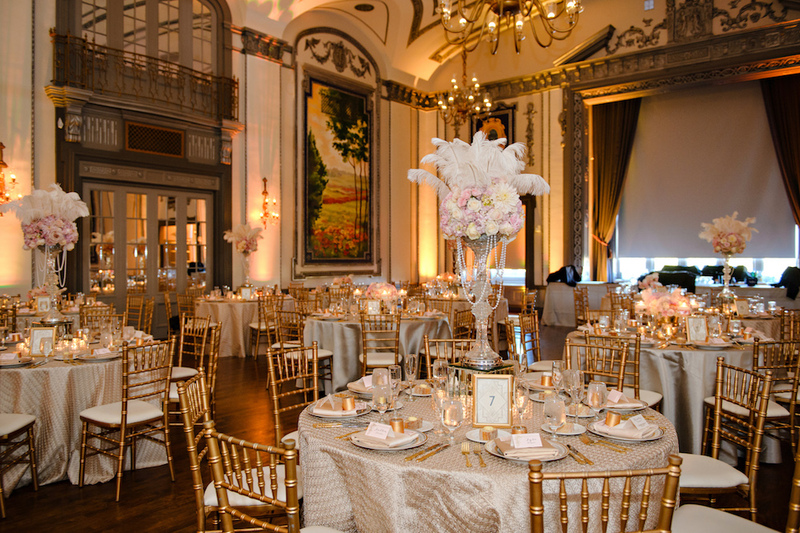 Stunning wedding party with a classic look. This space is haunting…in a good way! Definitely on theme. 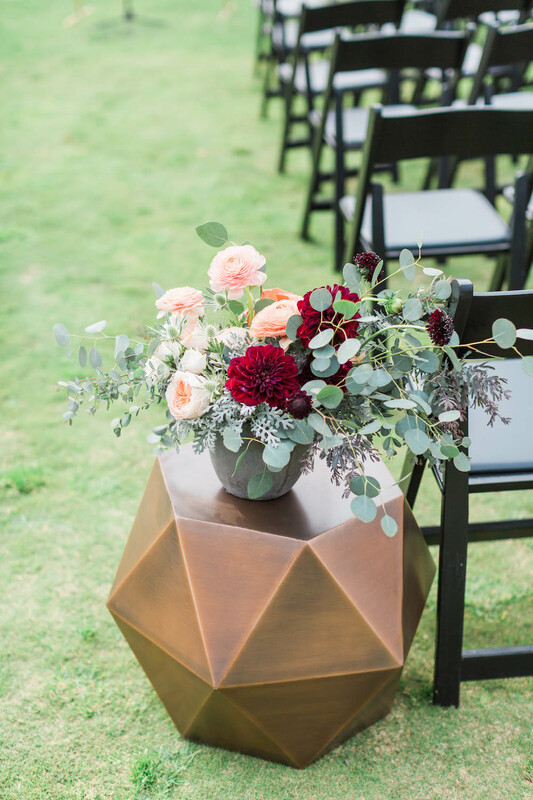 Loving the rich blooms with a gold geometric stand. 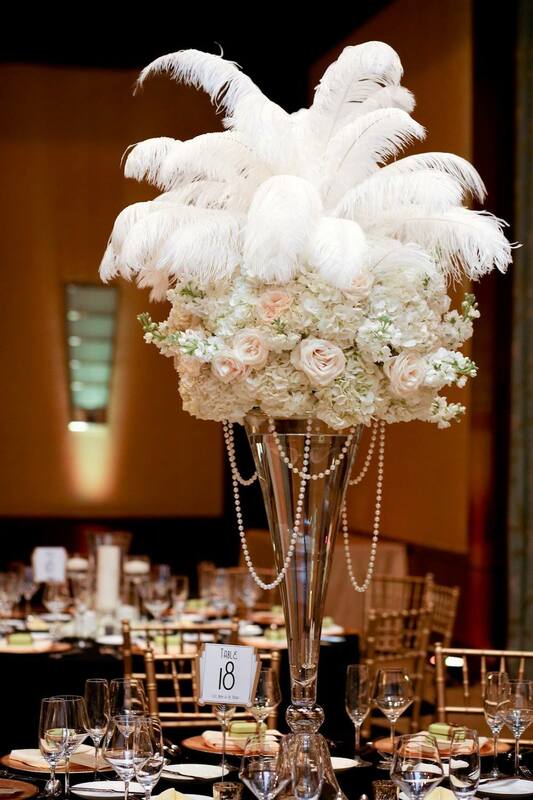 Pearls and feathers for days! 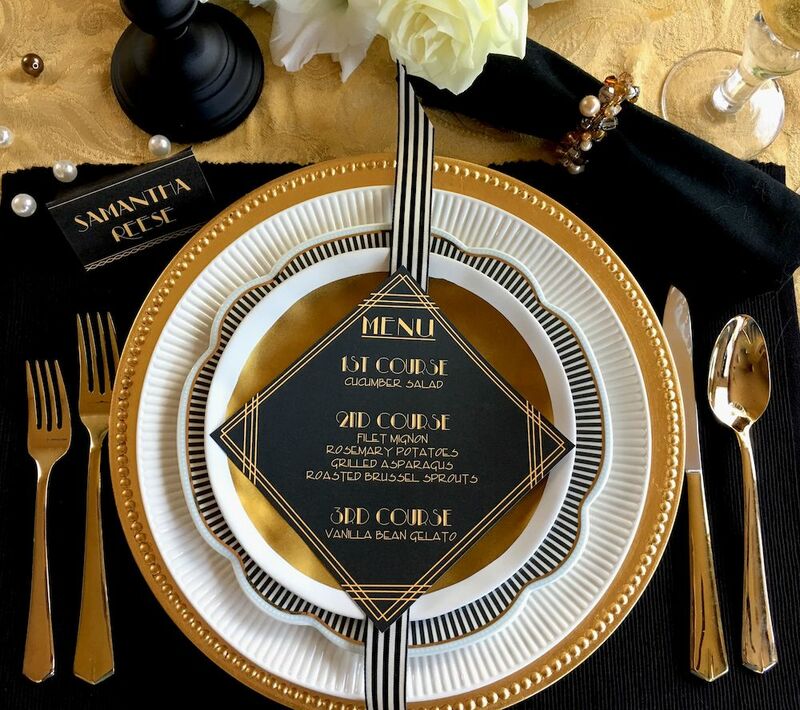 This table setting and menu card is perfect for an art deco inspired wedding. 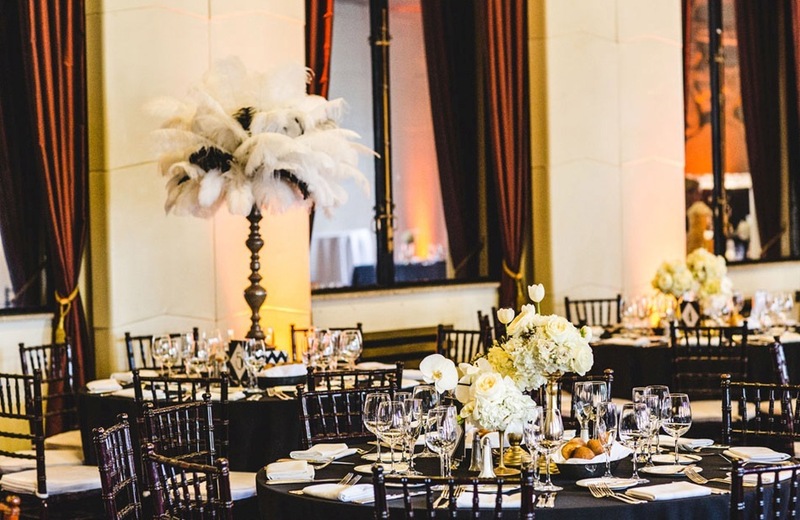 In case you needed some elegant Halloween (or wedding) inspo. 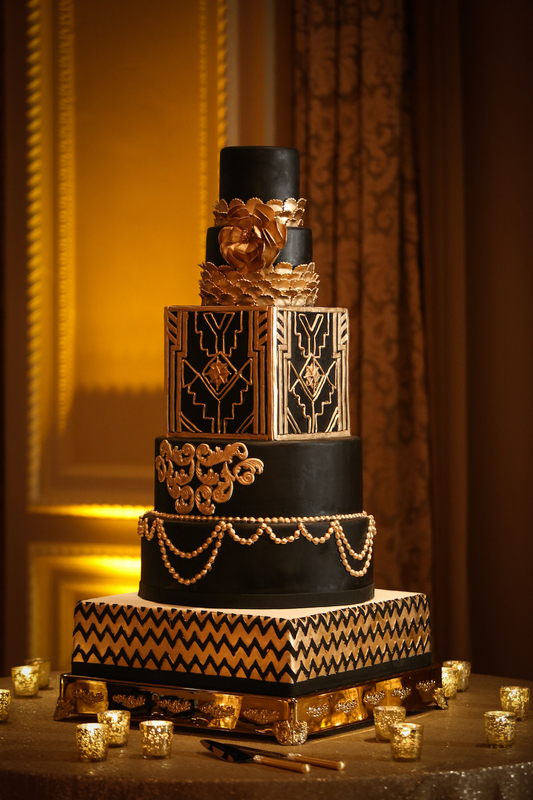 6 tiered cake with the best gold detailing we have ever seen! 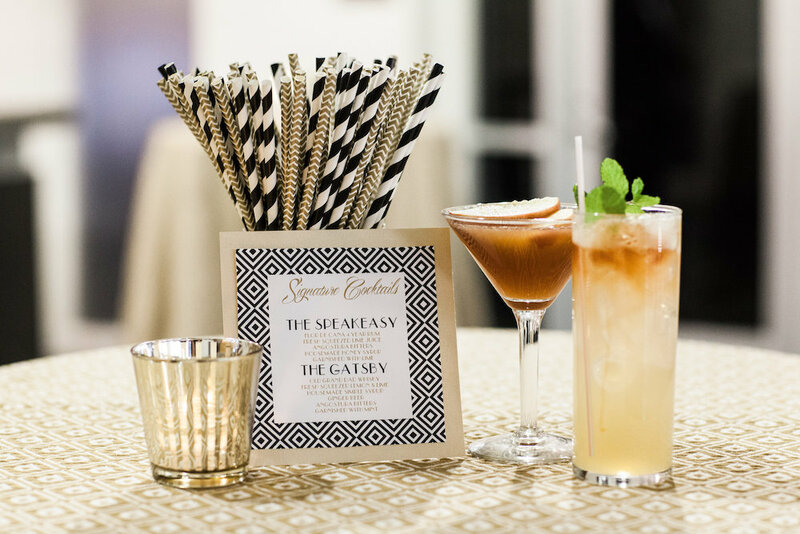 How great are these signature cocktails?! YUM!! 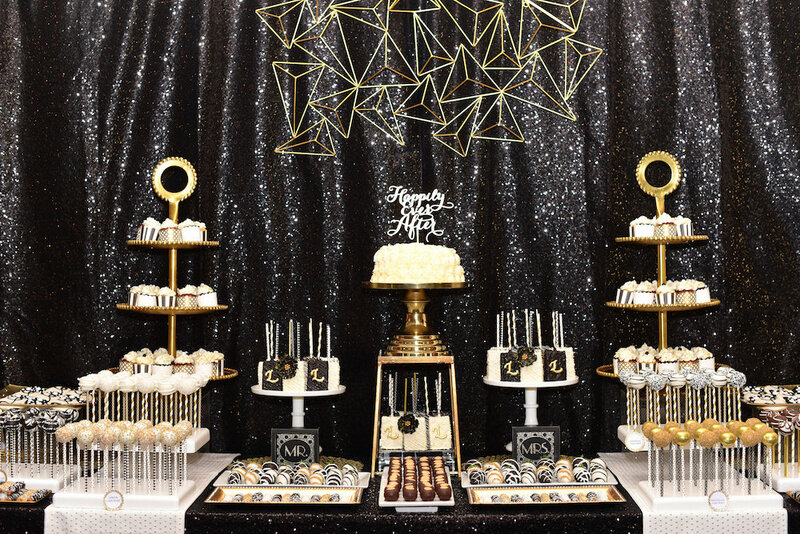 This entire dessert table looks too good to eat! A fuzzy (faux) fur coat is all we need! Can something be more aesthetically pleasing?! This LBD is so unique and fun for almost any occasion! Planning a wedding? Get your free 12-month wedding planning checklist.